You can download any iOS software updates for iPad, iPhone, and iPod touch without using iTunes. There are actually two ways to do this, the first is using the iOS device itself but there are caveats and limitations with that, and then there is the traditional method of downloading the update files directly from Apple without iTunes, which is particularly helpful for those who rely on download managers or who are just encountering trouble with iTunes automatic updates. We will cover both methods of obtaining iOS software without using iTunes to download it, we’ll start with the easiest method of using the device itself to get the iOS update. This applies to all modern versions of iOS. 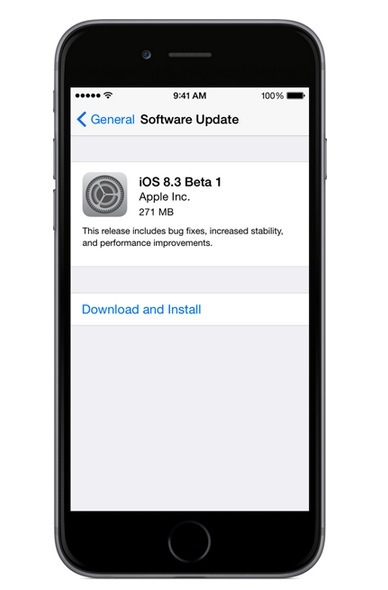 Thanks to OTA (standing for Over The Air) updates, you can also download updates to iOS directly on an iPhone, iPad, or iPod touch without even using iTunes. There is a caveat here though, and that is the device must be running system software later than version iOS 5.0, so older hardware may be left out. In any case, if you are running iOS 5 or later, you can use OTA to update iOS with no attachment to a computer or PC whatsoever. If an update is available, tapping on Download and Install will finish the process for you with no attachment to a computer and no iTunes at all. Very nice! This is by far the easiest way to get the iOS update installed onto a device and requires no computer at all, the whole thing is completed on the iPhone or iPad. You can always download iOS IPSW files without iTunes, and then update the software using iTunes itself. Note that you will still need to use iTunes to install the iOS update on your hardware. The iOS update file has downloaded, now what? That’s all there is to it. This is often a more reliable way to get an iOS update immediately, sometimes iTunes will time out during the download when an iOS update has just been released, this is probably due to server overload. Frankly, it’s often faster to just download the update files directly from Apple since they are delivered through a CDN they tend to go at or near your maximum download speeds. On a side note, if you attempted to download an iOS update from within iTunes and it failed, you may want to trash the file it downloaded. You can do this by going to the IPSW file location and just deleting the file. Sometimes this alone can resolve iOS download problems too. Downloading a ipsw file from a site outside of iTunes is helpful if you have multiple iOS devices and you only want to download the file itself once and install it on several devices. This tutorial depends on iTunes. Downloading is not upgrading, two different things. Just use OTA if you can’t figure out how to upgrade. What if you ipod is too old and OTA is not available… then how do you upgrade without iTunes? Well I understood them. I’m downloading the IPSW file because my firewall for some reason is blocking iTunes from connecting tot eh Apple Download Center. So I download outside of iTunes and then I can install from the local file. The really important feature of that title is that it does not include the word “Install” in it. Zain and Really failed to read the title properly. The distinction, and importance here, is that a person could download the IPSW from one location, take it to another using a USB key or other, and install it where they may not have an internet connection, or merely a slow internet connection where they do not want to spend 3 days downloading 750mb. Yep, not compatible for iPod 4G. What an incredible waste of time. Could have just downloaded it in iTunes by now. Wanted to pass along this helpful note: for my original iPad, (not iPad 2) I tried to install using the option+click method above but kept getting error 3002. But then I quit iTunes, copied the downloaded file to ~/Library/iTunes/iPad Software Updates, launched iTunes and simply clicked the “udate” button (Not option+click). Everything worked fine from there. i downloaded the .ipsw file but as a zip file. now how do i go about it? okay so i just downloaded the ipsw file for my iphone 3gs because my itunes wouldnt update to the newest version so i couldnt get the iphone 5 software or whatever… my problem is i dont understand how to get it on to itunes.. what exactly do i press with this option click thing? The “Restore” button in iTunes, then find the IPSW file you downloaded. You will need to then restore from your prior backup in order to get your apps and data back. Ideally you will just update through iTunes, it is much easier for most people. The reason i dont want iTunes to auto update and install the new version, is because it requires a FULL backup of the ipod (In my case over 40GB) while my hdd where iTunes is installed on, only has 10GB free space. More then enough for a windows install disk, however not to let iTunes make an auto backup. The downside from iTunes: It doesnt allow the end-user (you and me) to change the backup location, which imo is ridicules! The problem for me is that I don’t want to update iTunes (it’s huge, and I originally installed bare bones), so when I go to install the iOS update, iTunes won’t do it without updating itself. Anyone know a workaround? I don’t want to hack, just want to update my iphone. Thanks! You have to install the latest version of iTunes to install the latest version of iOS, there is no way around that until you get iOS 5, then you can do it directly on your phone. Start itunes and just click on the restore/update Et Volia!! You’ll update to this new firmware!! worked for me !!!! really awesome……and thanx dude. i want upgrade my iphone to ios 6! i wish i’m not fail! is it still on apple logo?